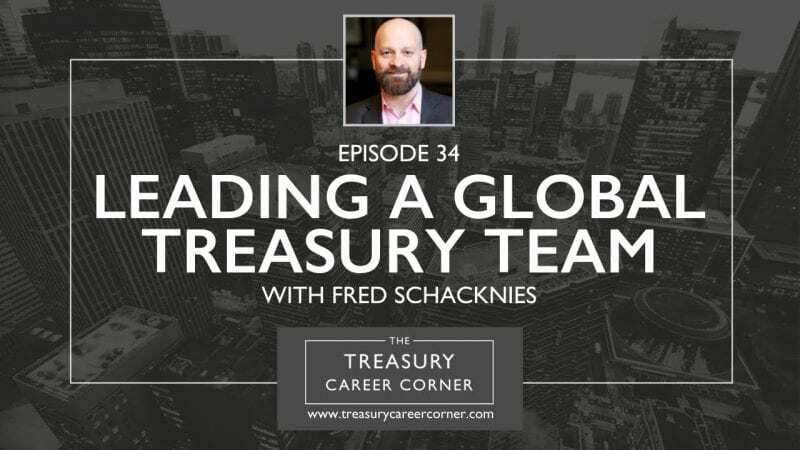 The Treasury Career Corner Podcast returns for another intriguing interview with Fred Schacknies, the Senior Vice President & Treasurer at Hilton Worldwide. On the show, we talk about how he built his impressive career in treasury, where he is now and where he sees himself and the treasury profession going next. Before joining Hilton in 2009, Fred held various treasury roles with Constellation Energy and Lucent Technologies. He currently serves a member of the Board of Directors of the Association for Financial Professionals and has served on Client Advisory Boards for Deutsche Bank and JP Morgan. He has been a speaker or panellist at events hosted by the Financial Times, The Economist, Euro Finance, the US Chamber of Commerce and other groups. His team has been recognised with an AFP Pinnacle Grand Prize, an Alexander Hamilton Award and an Adam Smith Award for various treasury projects. Fred holds a BA in international relations and economics from Brown University and an MBA in finance from New York University. If you would like to get in touch with Fred, you can connect with him via his LinkedIn profile. Are you interested in pursuing a career within Treasury? Whether you’ve recently graduated, or you want to search for new job opportunities to help develop your treasury career, The Treasury Recruitment Company can help you in your search for the perfect job. Find out more here. Or, send us your CV and let us help you with your next career move! If you’re enjoying the show, please rate and review us on whatever podcast app you listen to us on, for iTunes click here!